Final public listening session scheduled on Stanley St.
City officials have confirmed one final public informational meeting on Stanley St. before it returns to city committees for discussion and possible vote in April. Mayor Mike Wiza said in early March, Ald. 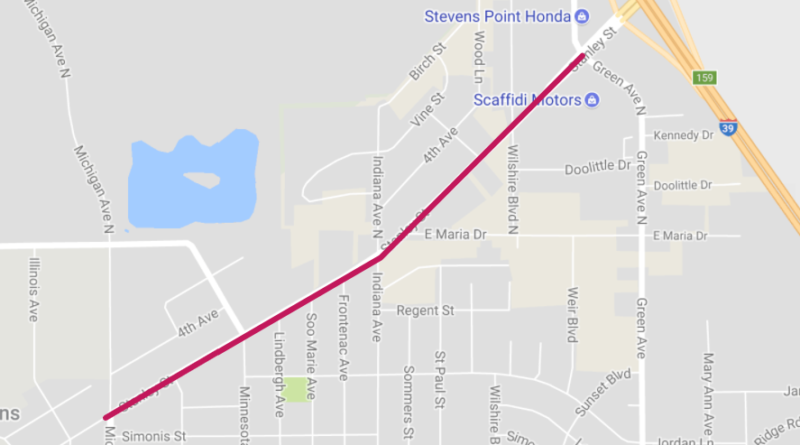 David Shorr requested the topic of proposed improvements to Stanley St. come back for discussion in April, which prompted Wiza to to arrange the meeting for March 28. The city council last year approved a $40,000 line item in the 2018 budget for “improvements” to Stanley St., but what those improvements might be were not specified. Wiza said the inclusion on the line item came after almost two years of public meetings discussing a possible road diet, and addition of bicycle lanes, on Stanley St., though some of those meetings were not officially sanctioned by the city. The meeting is scheduled at 6 p.m. on Wednesday, March 28 at St. Paul’s Methodist Church, 600 Wilshire Blvd. in Stevens Point. The public is encouraged to attend.